Writing this 3 weeks after the BAS National Show, where we had successful results for two of our white males: in the Junior class, Apple Vale Kitageskee was awarded 3rd out of a group of 11, and Apple Vale Jupiter was awarded 2nd out of a group of 9, and we noticed the judge gave him serious consideration for Reserve Champion. 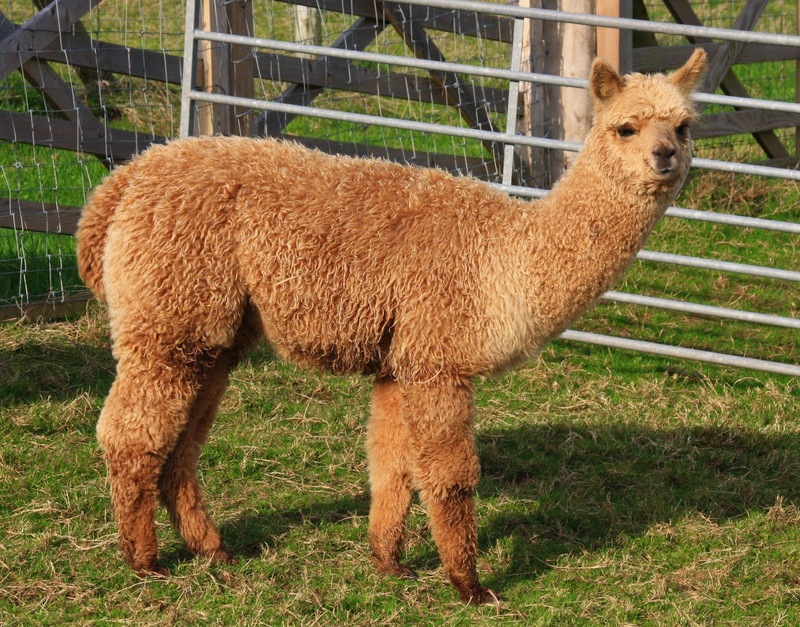 They are hopefully folowing in the footsteps of their half-brother Fortune who was a show Champion. 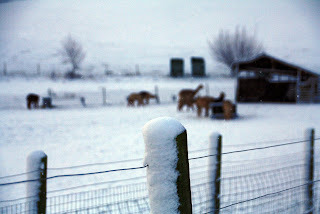 It was very rewarding to see the alpacas placed above and below them, and to see our boys in contention with the quality genetics that these are all carrying. I spent the weekend serving as a Ring Steward for the New Zealand judge, Molly Gardner, judging the female classes, which was an enjoyable experience - the show ran very well, due to the efforts of many stewards inspecting, recording and collecting, plus those who helped with setting-up before we arrived, and with just a few hiccups along the way. 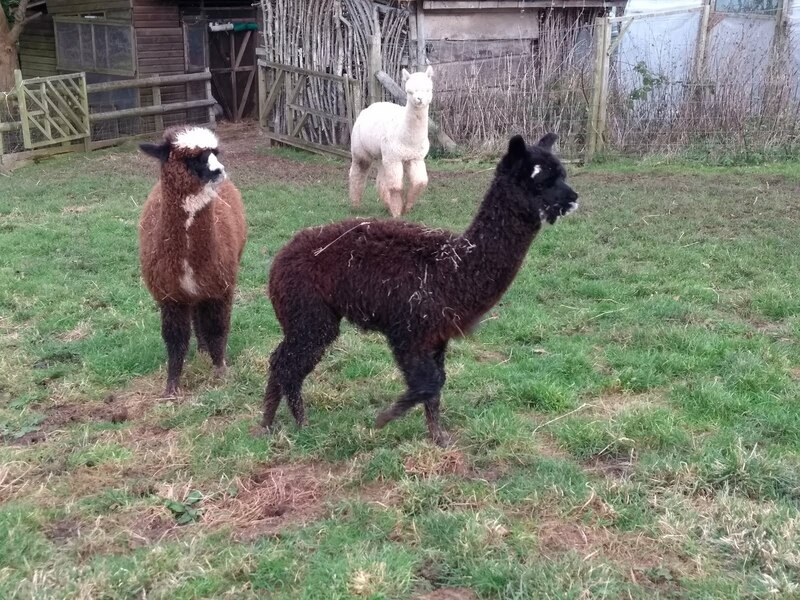 The Blue Peter film crew were filming one of their presenters, Lyndsey, as part of a feature on breeding alpacas that the show broadcast. 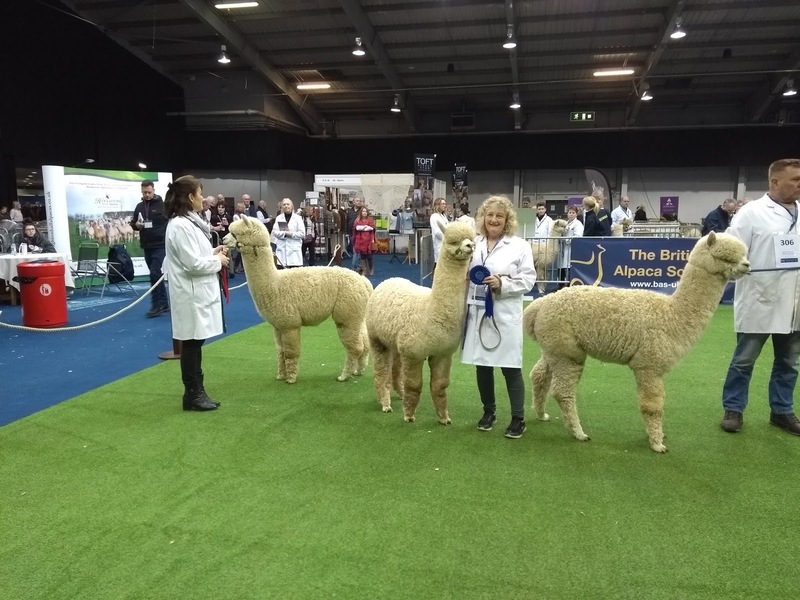 Lyndsey was handling a black female alpaca which was awarded Champion, and so I managed an incidental appearance on the programme - as a fan of the show in my childhood, I have made a big thing of telling (boring!) anyone who would listen! The winter has been quite 'kind' to us here - plenty of frosts, occasional rain, dry periods and a dusting of snow. Still recovering from last years 'drought', the paddocks have required careful nurturing with fertilizer, seeding of bare patches, and rotation of the herd. The herd have been topped up with injectable supplementary Vitamin D, and have just been given their spring Lambivac vaccinations - in December we said goodbye to three young males who went to new homes in South Wales - we carried out spit-offs on the pregnant females last weekend, and all of them spat-off, although several had scanned negative in the autumn, so we will be watching keenly to see what develops. 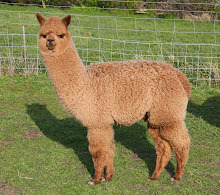 Now a topic for discusssion: there have been several incidents cropping-up on social media, where single alpacas are being kept as pets, although I've not seen any in the UK (seems to be U.S and Australia, where there are many more alpacas than in the UK). 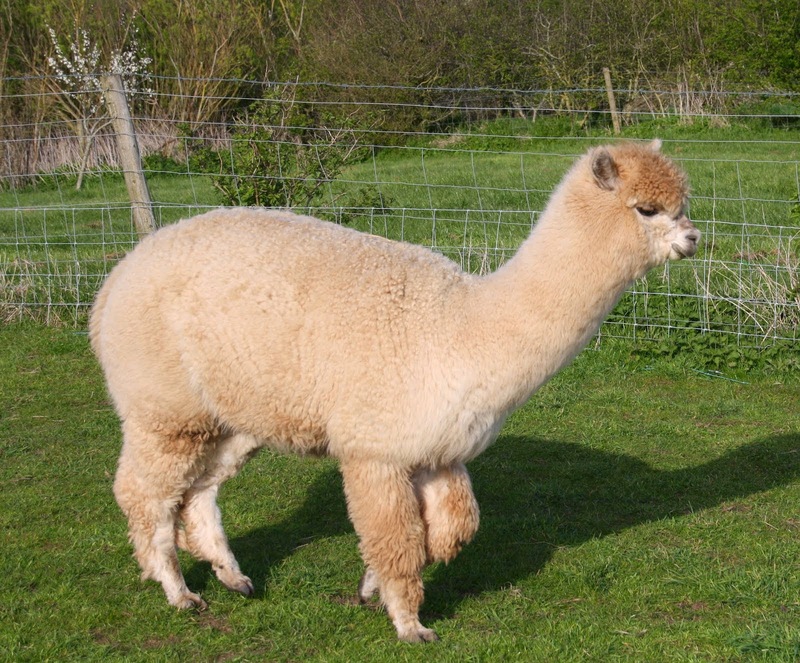 Any owner or breeder of alpacas knows that they are a herd animal and should be kept in groups of three or more - I believe that part of the problem is that castrated males are often advertised as 'pet males', and so this is spreading the idea that they can be kept as pets. Perhaps the industry should start to encourage owners to use a different term for these to try and correct the image, and perhaps reduce the incidence. Grazers and flock guards are common alternatives - does anyone have other suggestions? 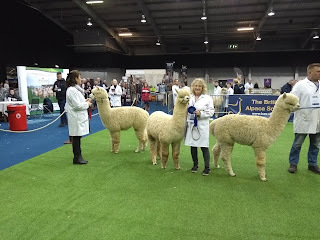 In my previous post, I alluded to interesting developments regarding this years summer shows - well, the Royal Bath & West Show decided they could manage without an alpaca feature, which I find extraordinary, so we won't be holding a show there, however there will be a Somerset County Show on the 21st and 22nd September at Taunton Racecourse, and so plans are underway for this new event, which is exciting. Meanwhile, we are looking forward to the North Somerset Show, followed by the Devon County Show, both in May.